well now I love her! who is she? 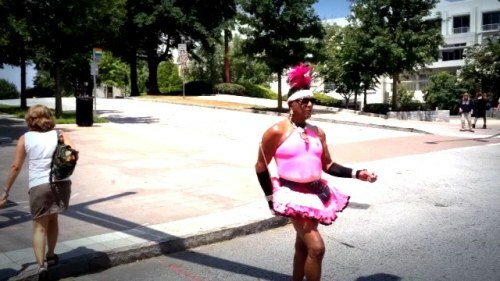 "Sometimes a breakdown can be the beginning of a kind of breakthrough, a way of living in advance…"
If you are familiar with Atlanta, then you know Baton Bob. 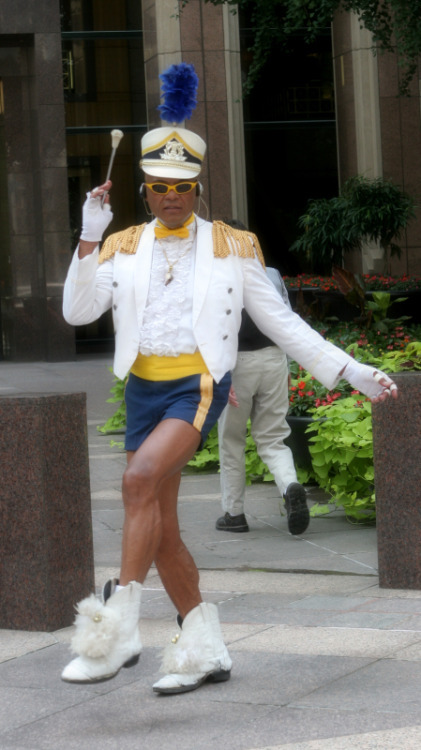 Whenever the weight of Monday gets to be a bit too heavy, I always remember Baton Bob. 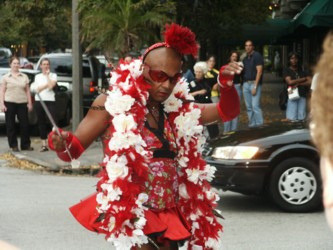 Baton Bob represents everything that is fun, fierce, and fabulous. As a kid he was enthralled with band majorettes and when he went to high school, he asked to be his school’s first male baton twirler. Wearing a cheerleader’s sweater and white pants with gold stripes, he often was tempted to outperform the majorettes. Jamerson eventually moved to St. Louis and worked as a flight attendant, but was laid off after the 9/11 attacks (he now works as a floral designer). 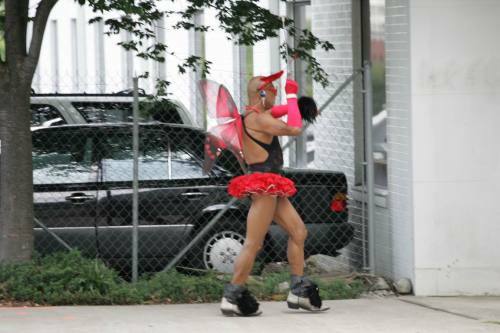 To counter his depression, a psychologist recommended he do things that brought him joy and so Jamerson began twirling his baton in public again.He expanded his wardrobe of transgressive costumes and marched through city streets several afternoons every week. Bob’s costumes always reflect current events. When Christopher Reeve died, Baton Bob wore a Superman costume. 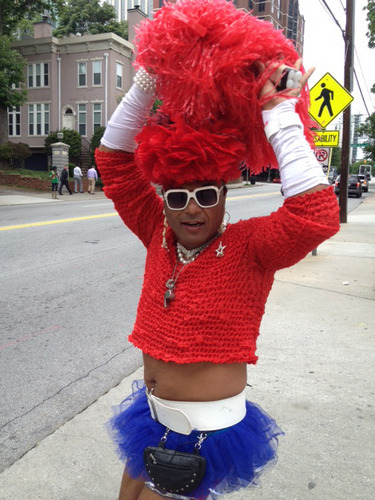 Thank you Baton Bob for being you and for bringing a little more joy into the world. So cute! There is an entity who dresses with the same élan (that’s FRONCH*) who meets the ferry sometimes. Always makes my day. It is impossible for me to be “in the tank for Obama,” because no one says that any more. Well I spent a lot of time today trying to get interviews with grieving, bereft people. 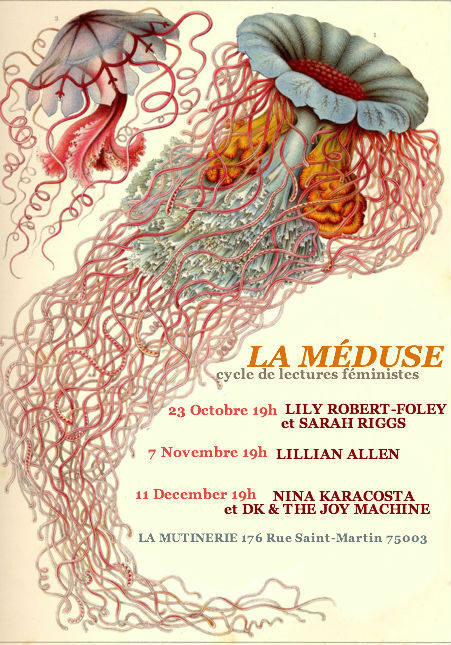 Hi internet, I am organizing a feminist reading series called LA MEDUSE at La Mutinerie, 176 Rue Saint Martin, 75003 Paris. La Méduse has many tentacles and dreams of having more. 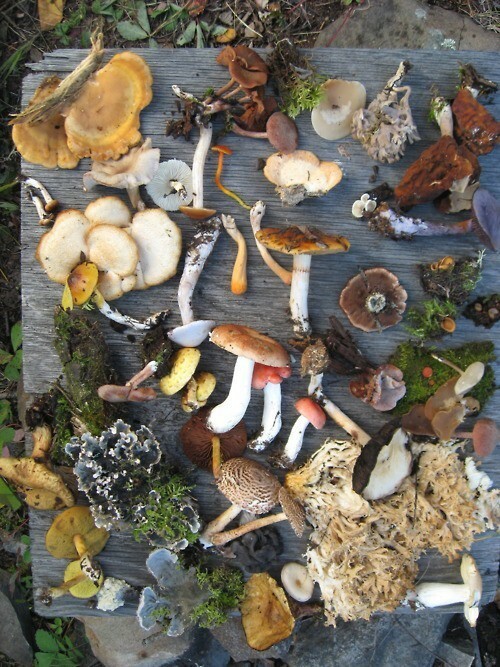 We want to expand our scope to include different types of literary/writing events (i.e. : not just readings). If you are a queer and/or feminist writer and would be interested in reading, performing, participating, organizing stuff OR if you have questions, critiques, etc. email me: thymian AT gmail DOT com. I might also make some that say “I believe Nafissatou Diallo,” let me know if you want one of those. I can’t even watch, it makes me so upset. 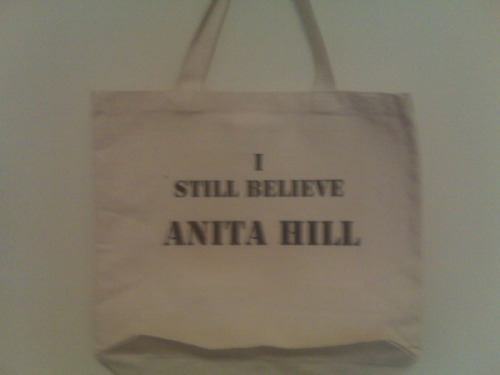 Tags: Anita Hill totes? totes!